As her boys grew she learned that one of them had special needs. When they began their public education and special services were needed; this caused Lori to learn about and fight to get the special education her son needed. 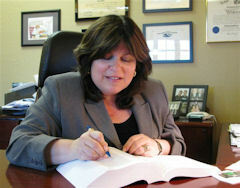 In 2006, Lori decided to use her new knowledge about special education law to help others. As she expanded her work into that field she discussed her interests with her sister, Hope Kirsch. The two decided to open up their own firm where they could dedicate more time to this area.